Paula Skedsvold has always had a passion for developing policies to better serve people and society. For most of her career, she has worked to bridge the worlds of science and policy, using science to inform health, social, and education policies and improving policies related to the conduct of science. 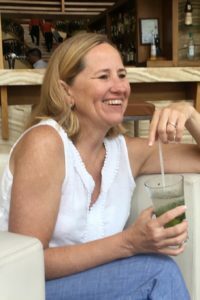 For over ten years, Paula served as Executive Director and science advocate for the Federation of Associations in Behavioral & Brain Sciences (FABBS), formerly the Federation of Behavioral, Psychological, and Cognitive Sciences. In this capacity, she worked on behalf of twenty-three scientific societies to promote the sciences of mind, brain, and behavior before Congress, federal agencies, and the public. She strived to ensure funding for the field, policies that support research, and a greater appreciation for the many contributions of our sciences. At FABBS, Paula also led numerous scientific societies in encouraging investigator-friendly policies related to the registration and reporting of basic science at the National Institutes of Health. Over her career thus far, Paula has held a number of positions that supported research endeavors or linked research and policy. Prior to directing FABBS, she served as Science Policy Analyst for the National Institutes of Health’s Office of Behavioral and Social Sciences Research, where she drafted research announcements, organized scientific workshops, and tracked appropriations and science legislation on behalf of the office. Before arriving at NIH, Paula was a Congressional Science Fellow, supported by the American Psychological Association and coordinated through the American Association for the Advancement of Science program. In this capacity, Paula had the privilege of working in the offices of Congresswoman (now Speaker) Nancy Pelosi (D-CA) and Congressman John Lewis (D-GA). In Rep. Pelosi’s office, she used research to inform a range of health policy issues including women’s health, elderly health, and HIV/AIDS, and also helped staff the Labor, Health and Human Services, and Education Appropriations Subcommittee. In Rep. Lewis’ office, Paula worked to develop a bipartisan Congressional dialogue on race relations and planned a bipartisan Congressional trip to civil rights sights in Selma, Alabama, working in collaboration with Rep. Amo Houghton’s (R-NY) staff and the Faith and Politics Institute. Earlier in her career, Paula served as Director of Education Research Policy for the American Educational Research Association (AERA), where she worked collaboratively with Executive Director Felice Levine on issues facing education science, including research ethics, human research protections, and challenges related to accessing educational records for research purposes. She also spent a number of years working with AERA and the broader science community to improve the human research protections system. 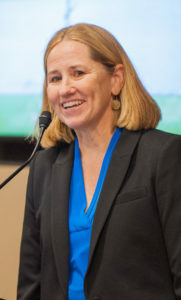 She staffed the Social and Behavioral Sciences Working Group of the National Human Research Protections Advisory Committee, an advisory committee of the Secretary of the U.S. Department of Health and Human Services, where she managed the development of advisory reports identifying gaps and areas needing clarification in the human research protection system. Paula learned science advocacy when she first arrived in Washington, DC in 1995, and joined the government relations team at the Association for Psychological Science (then the American Psychological Society), a position partially supported by the Society for the Psychological Study of Social Issues, where she served as Scientist in the Public Interest. In this capacity, she synthesized behavioral and social science research findings for federal policy makers, organized Congressional briefings, and advocated for support for the behavioral sciences. In the early years of her career, Paula helped link research and policy as a Policy Analyst with The Council of State Governments Midwest Office, and there she conducted policy-relevant research and developed research briefs for midwestern state legislators. To further enhance her skills in the policy world, Paula completed a law degree, after which she worked as a Senior Legal Research Analyst for the International Women’s Human Rights Clinic at Georgetown University Law Center, and supported joint projects with African NGO partners to improve health, social, and economic conditions for women in five African countries. She also taught International and Comparative Law on Women’s Human Rights as an Adjunct Professor at Georgetown Law, later returning to her roots in science policy. * FABBS would like to thank Dr. Nora Newcombe for nominating Dr. Skedsvold for this honor and for leading the effort. Would you like to honor Dr. Skedsvold? It’s not too late to have your name added to the list of donors! You can make your donation to Dr. Skedsvold’s In Honor Of… campaign at anytime.